The new iPad mini with Retina Display is a fantastic tablet but unlike the Microsoft Surface Microsoft Surface Tablet Review and Giveaway Microsoft Surface Tablet Review and Giveaway The Surface tablet is a flagship Microsoft product -- its first foray into the tablet market as a hardware manufacturer. It’s almost as locked-down as the iPad - the only applications you can install and... Read More , Apple’s smart cover does not have a built-in keyboard to make it easier for those who type a lot. There are some great tricks for better typing on touchscreens Fingers Meet Glass: 5 Tips For A Better Typing Experience Fingers Meet Glass: 5 Tips For A Better Typing Experience Whether you're typing out a short email or writing a 1000-word blog post, doing that on a tablet/smartphone, sans an external keyboard, can be somewhat difficult. Read More , but it still doesn’t match up to a proper keyboard. A keyboard is what you need to prep your tablet for productivity It's Not Just For Angry Birds: Preparing Your Tablet for Productivity It's Not Just For Angry Birds: Preparing Your Tablet for Productivity Tablets can be fantastic consuming information and playing games – and sometimes seem to be designed specifically for that. But there's no reason you can't also use your tablet to get some work done. Read More , so we went looking for a few Bluetooth keyboard cases for your new iPad mini. The Ultrathin Keyboard is, in my opinion, the best keyboard cover you can get for the larger iPad, and its smaller version is a great choice for the iPad Mini too. Logitech’s super-thin (just 7.8mm!) offering doesn’t fold out in a clamshell design, like a laptop. Instead, to use it for typing, you have to detach it from your iPad Mini and dock the tablet into the little magnetic slot on the keyboard. It holds study—far steadier than some of the clamshell designs, in fact—and I love that it puts the screen closer to the fingers. Because there’s no mouse, your hand will need to tap the screen often, so the closer it is to your fingers, the better. It’s not the most spacious keyboard—at this size, it obviously can’t be—but you get used to it after a while and will be touch-typing in no time. However, I must admit, when you flip the cover open without wanting to use the keyboard, the feeling of those keys on the back isn’t so nice. There are two things I would always want in a Bluetooth keyboard for a tablet: backlit keys and adjustable viewing angles. Zagg’s Folio Keyboard not only delivers on those, but also offers protection for the back of the iPad Mini via a shell which the tablet snaps into. It basically turns your iPad Mini into a laptop-like design, but one that is surprisingly lightweight. I’ve tried a few of these and they end up making your tablet bulky and heavy, but that’s not the case with the Zagg Folio. The hinge is also stronger than most others, letting you adjust the viewing angle of the screen and removing the fear of the tablet falling over because of a weak screen. The real winner for me is the backlit keyboard—a rare feature in these cases. Anyone who uses their keyboard at night knows how much of a difference backlighting makes. Note: The Kensington KeyFolio Pro 2 ($45.86), which we also loved in our affordable tablet keyboards roundup Need An Affordable Keyboard For Your Tablet? Here Are Some Good Options Need An Affordable Keyboard For Your Tablet? 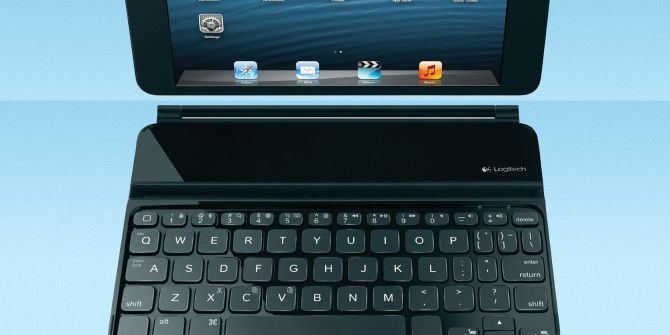 Here Are Some Good Options If you're getting a fair bit of use out of your tablet and looking for a keyboard to go with it, you may have no idea where to start. There are plenty of options out... Read More , was a close second in the ‘folio’ options. But the Zagg’s backlit keyboard won over Kensington’s detachable offering. Still, that’s a really good product too and worth consideration. Instead of extended warranties, it often makes more sense to buy a rugged case for your device instead. The New Trent Airbender Mini not only protects the iPad Mini but also packs in a Bluetooth keyboard with a fantastic hinge made of aluminium and plastic. The hinge, which pops out from the back when you open the case, lets you rotate the tablet from landscape to portrait mode and back, and folds down flat to 180 degrees for maximum viewing angles. Then there’s the rubberized body which is water-resistant, dirt-resistant and shockproof. Additionally, the screen is also protected by the shell of the device. The Bluetooth keyboard is a bit more cramped than Logitech and Zagg’s offerings, but it’s also completely detachable so you can use it separately. 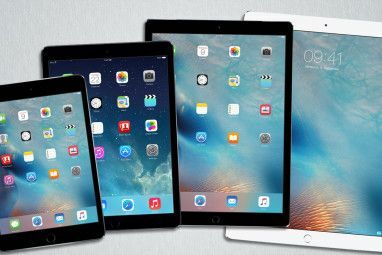 One problem is that while it doesn’t add that much weight, the overall size increase makes the iPad Mini uncomfortable for use with a single hand. A bigger issue is that the keyboard doesn’t go to sleep automatically when you close it, so your battery might drain quickly if you forget to manually switch that off. The one thing I dislike about all the recommendations so far is that when you aren’t using the keyboard and just want to use the tablet, you still feel the keys on the back when you open the case completely. The iGear Flip Turn Case solves this with a unique hinge that lets you turn the tablet around completely so that its back rests on the keyboard—or you could prop it up like a dock too. This also means you get adjustable viewing angles of up to 180 degrees! There is one slight problem though: iGear’s keyboard layout completely skips the apostrophe/quotes key, which is usually between the colon/semicolon and Enter. Instead, apostrophe and quotes are now function keys. That might to take some getting used to! You know our recommendations now, but there’s a bigger question to be answered first: do you need a keyboard for your tablet? 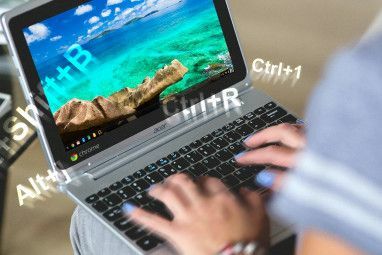 There’s a case against including keyboards with tablets Why Tablets Shouldn't Have Keyboards Included With Them [Geeks Weigh In] Why Tablets Shouldn't Have Keyboards Included With Them [Geeks Weigh In] Once the love of all geeks, laptops are now defending their turf against smaller, lighter tablets that provide excellent battery life. While it’s not clear if tablets are the cause, laptops have seen their sales... Read More , but if you are someone who writes a lot, it might be really beneficial. What do you think? Explore more about: iPad Case, iPad mini, Keyboard. I own two cases by New Trent including the Airbender Mini. I really like this case a lot because of the value, construction and ease of use. The case is VERY durable as described, and since I "share" my Mini with my kids I really appreciate the built in screen protector and the rubberized case. When my kids use the Mini I detach the Mini from the keyboard and keep it in the case, and then when I need it for work I simply snap it back on it's ready. They keyboard works VERY well. I can type as I would on any normal keyboard.